Quality Assurance is a fundamental and non-negotiable part of the way we do business. 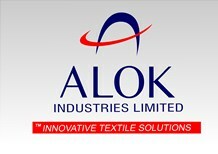 We continuously focus our manufacturing and allied practices on the concept of get it right - first time and every time'. To do so, our products, manufacturing process and equipment are rigorously and always checked for quality standards and process deviations, if any. Our adherence to internationally recognized certification standards and compliances (as listed below) is recognized by renowned certification bodies. Comprehensive Integrated Management System (IMS) certification comprising of ISO 9001:2015 Quality Management System; ISO 14001:2015 Environmental Management System; OHSAS 18001:2007 Occupational Health & Safety Management System for all plants and SA 8000:2008 for Social Accountability.